The recent celebrations of 150 years of settlement in Heathcote were well-attended and awesomely well organised. 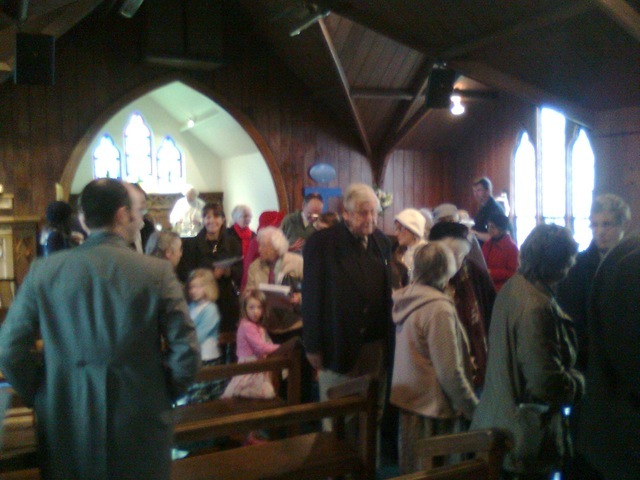 I got along to the church service at St Mary’s Anglican Church. The church was itself celebrating 150 years. 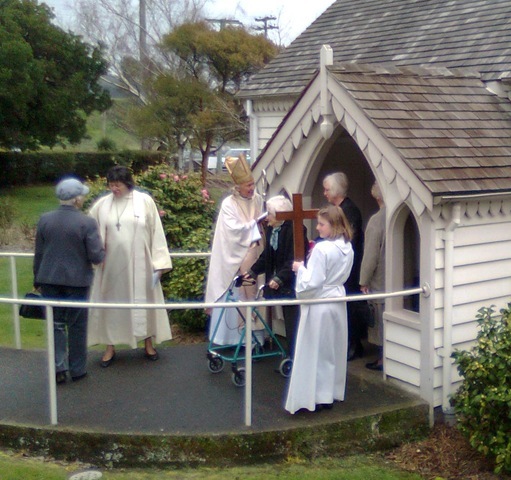 Not only were the locals turned out in nineteenth century clothing, the church laid it on too. The bishop and a host of clergy were in attendance and the altar girl completed the largely female cast. This photo shows Bishop Penny and Mary the priest shaking every hand as the worshippers flowed from the packed-out church at the end of the service. This next photo gives a nice view of the beautiful timber interior and the vaulted ceilings, plus a glimpse of some period dress. What a great weekend. Well done Heathcote Valley community for your tremendous enthusiasm and dedication.